Nigeria recorded its lowest economic confidence score in a year, after a fall in the final quarter of 2018, the latest edition of the Global Economic Conditions (GECS) from the Association of Chartered Certified Accountants (ACCA) and the Institute of Management Accountants (IMA) has revealed. According to the report, in the midst of a poor near-term outlook, a fall in oil prices was expected to weigh on exports and government revenues. These were highlighted in a survey of 82 Nigerian accountants. Speaking on the findings about Nigeria, the Head, ACCA Nigeria, Mr. Thomas Isibor, said the report found that despite an improvement in the non-oil economy, consumer demand was soft and restrained by a 23 per cent unemployment rate. He pointed out that overall, Gross Domestic Product (GDP) growth in 2019, was likely to be modest at between two per cent and 2.5 per cent. “Presidential elections in February increase uncertainty in the near term but the outcome may result in more business friendly policies,” he added. Also, the Head of Business Insights at ACCA, Narayanan Vaidyanathan said: “Economic confidence over 2018 has been turbulent, with end of calendar year results downbeat compared to the start of 2018. The global poll of 3,800 accountants showed that all key regions recorded a negative confidence score with signs of growth weakening in the world’s three biggest economies – the US, China and the Eurozone. Global economic confidence fell for the third consecutive quarter in Q4 2018, ending the year at an all-time low. The survey revealed respondents were pessimistic about the outlook ahead, with the lowest scores recorded in Western Europe and the Caribbean. The least pessimistic part of the global economy was again South Asia, followed by Africa and North America. 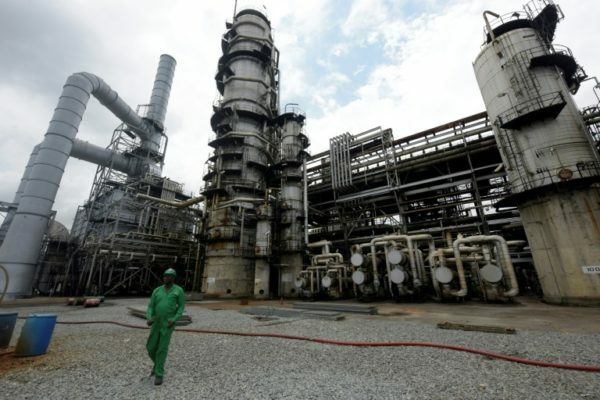 Given Nigeria’s low revenue generation level, the government said it was considering what it described as tough measures to achieve higher revenue. Minister of Finance, Mrs. Zainab Shamsuna Ahmed, disclosed this while speaking at the Deloitte Nigeria 2019 Economic Outlook in Lagos recently. According to her, “We still need to do more to achieve higher revenue outturn. Peer comparison on our ability to convert Gross Domestic Product (GDP) to revenue for capital and social investment- key drivers of sustainable economic growth -show that we have a lot to do to catch up. Nigeria must mobilise significant resources to invest in human capital development and critical infrastructure. “Indeed, some reforms will be tough, but it must be done if we will look at the facts and be frank to ourselves. Given the low revenue to GDP ratio (currently at about seven per cent), we must pursue optimal revenue generation,” she added. The minister noted that in 2018, the federal government recorded revenue of N6.9 trillion, which according to her was unsatisfactory.